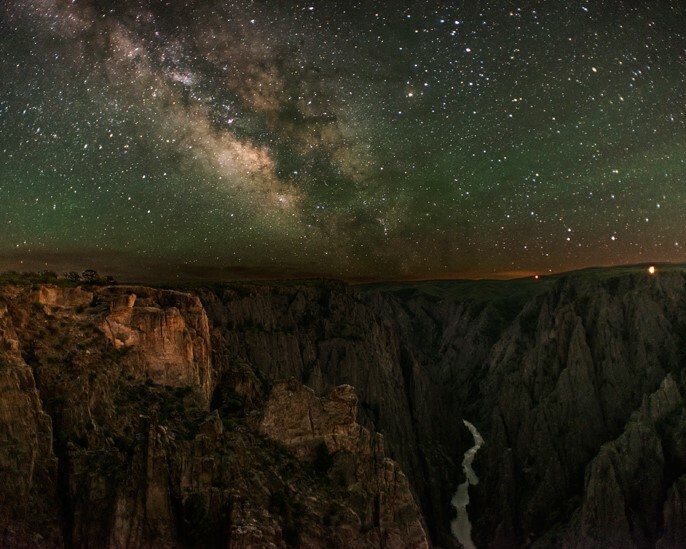 As of September 2015, the Black Canyon of the Gunnison National Park has received the distinction of being named a Dark Sky Park. Says Superintendent Bruce Noble says, “The staff of Black Canyon is thrilled to be the ninth National Park Service site designated by the International Dark Sky Association as a Dark Sky Park. There are many opportunities throughout the year for local, national and international visitors to enjoy the night sky at Black Canyon and learn more about our conservation efforts encouraging the appreciation of such an amazing resource.” Check out the article at the National Parks Service about the Black Canyon of the Gunnison’s special distinction in full here.